Procurement Director Wendy Cox and Associate Procurement Specialist Godfery Smith invite vendors to learn how to do business with the district on May 9. 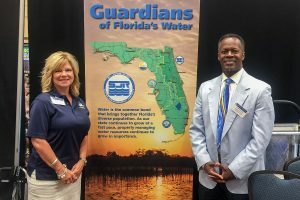 MAITLAND, Fla., April 12, 2019 — Vendors small and large are invited to an outreach event on May 9 to learn how to do business with the St. Johns River Water Management District. This free event will offer information about current and upcoming opportunities, as well as providing a forum for existing contractors to offer feedback about district procurement documents. Learn how to efficiently navigate district procurement opportunities through registration with VendorRegistry, DemandStar and the Florida Department of Management Services. 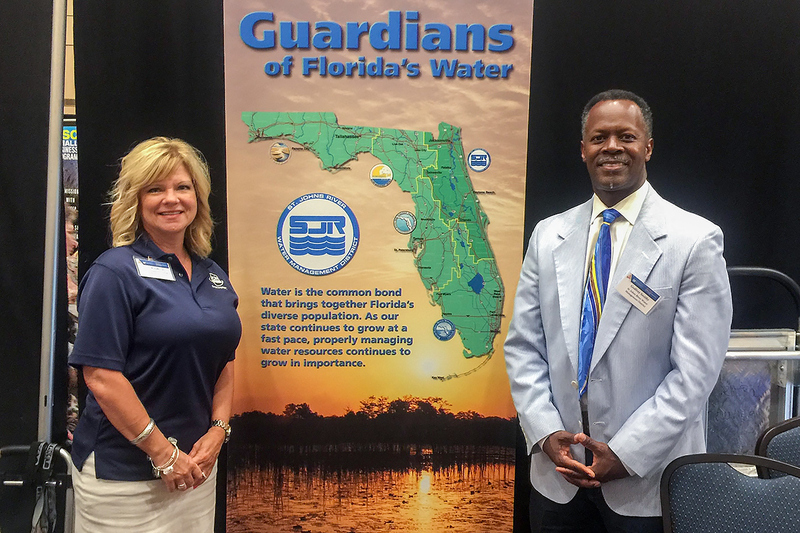 The event will be held from 2:30–4:30 p.m. at the Renaissance Senior Center, 3800 S. Econlockhatchee Trail, Orlando, FL 32829. To ensure ample seating, participants are encouraged to register in advance by emailing district Procurement Director Wendy Cox at wcox@sjrwmd.com. Examples of goods and services provided by vendors include professional engineering services, environmental assessments, building material, construction services, laboratory supplies, fencing services and supplies and more. The mission of the district’s procurement program is to acquire goods and services in a responsive manner through contractual mechanisms that support district core missions. The district is committed to promoting fair, transparent and open competition. For information about the district’s procurement program, visit www.sjrwmd.com/finance/procurement/.